Xtralis has extended its market-leading VESDA very early warning aspirating smoke detection (ASD) system to include reliable gas detection and environmental monitoring. Invisible hazards can originate from the release of toxic gases, oxygen deficiency, or the presence of combustible gases/vapors. As with fire detection, proactive gas detection enables countermeasures to be taken to protect personnel and property from such unseen dangers. VESDA ECO by Xtralis uses an existing VESDA ASD pipe network to actively sample air for the presence of smoke and up to nine hazardous and/or combustible gases. Integration with other building systems (FACP, PLC, HVAC and BMS) delivers real-time situational awareness and intelligent emergency response, including the activation of demand-controlled ventilation to save energy and control costs. VESDA ECO adds gas detection capability to existing or new installations of VESDA Aspirated Smoke Detection (ASD) systems that utilize 25mm or ¾” BSP air sampling pipe networks. 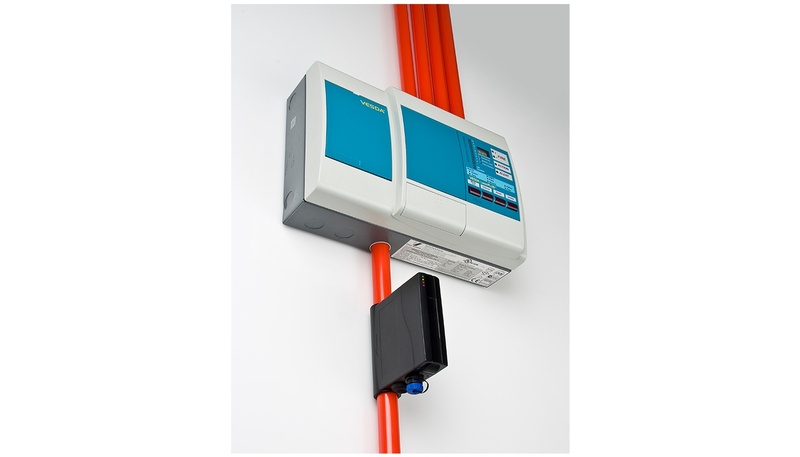 The VESDA ECO can detect a range of flammable gases, toxic gases and oxygen deficiency. 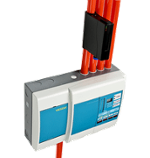 Each VESDA ECO detector houses a replaceable sensor cartridge which contains one or two gas sensors. VESDA ECO uses the same well proven core sensing technologies that have been successfully used by the gas detection industry for many years. (see table 1) VEDSA ECO currently employs two core sensing principles: Catalytic bead (often referred to as Pellistors) for the detection of flammable gases and electrochemical cells for the detection of toxic gases and for oxygen deficiency. It should be noted that the majority of gas sensors have a finite life (see table 1). The life of a gas sensor is linked to its internal chemistry and environmental conditions. Manufacturing tolerances, the chemical composition and operating environmental conditions all have an effect upon a gas sensors operating life. This makes it difficult to precisely predict the end of life for any gas sensor. To verify gas sensors continue to respond to gas and that their accuracy is within acceptable limits; it is industry practice to regularly test / recalibrateall gas detectors (typically 6 monthly) using zero gas (e.g.nitrogen or air) plus the target gas of a known concentration (Typically 50% of full scale). The life of a toxic gas electrochemical cell is related to the working life of its internal chemistry. Oxygen fuel cells consume their internal chemistry during normal operation and their life can be measured in ppm hours based on an ambient of 20.9 % v/v. The life of catalytic bead or pellistor based gas sensor can be many years and is directly related to the amount of catalytic poisons they are exposed to. Catalytic poisons include silicon based compounds e.g. Silicon based: furniture polish, electrical contact releasing sprays and lubricants, like WD40. VESDA ECO uses poison resistant catalytic beads ensuring the longest possible operating life.